It was my birthday recently and my blogging friend Claire thought I’d love to read The Sewing Machine so she ordered a copy and had it sent direct to me. I wouldn’t call myself an avid reader by any means and I’d usually much rather spend my spare time sewing than reading. However, Claire was keen for me to read this one so I did. Yes, I used some of my precious crafting time to read!! Can you believe that? I’m not going to write a review as such because I don’t really have the words. I prefer to read a book and simply enjoy it for what it is, rather than give it a post mortem which so often spoiled books for me at school (it actually put me off reading). However, this book got under my skin. The Sewing Machine is a debut novel by Natalie Fergie. I enjoyed it so much that I’ll be looking out for more by this author in future and that’s a first for me. The front cover gives an idea of what the story is about. 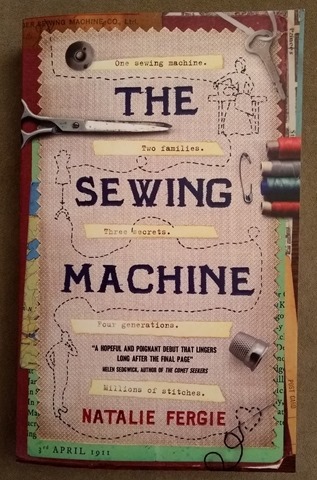 If you love sewing machines and/or you love to sew I think you’ll really enjoy this book. 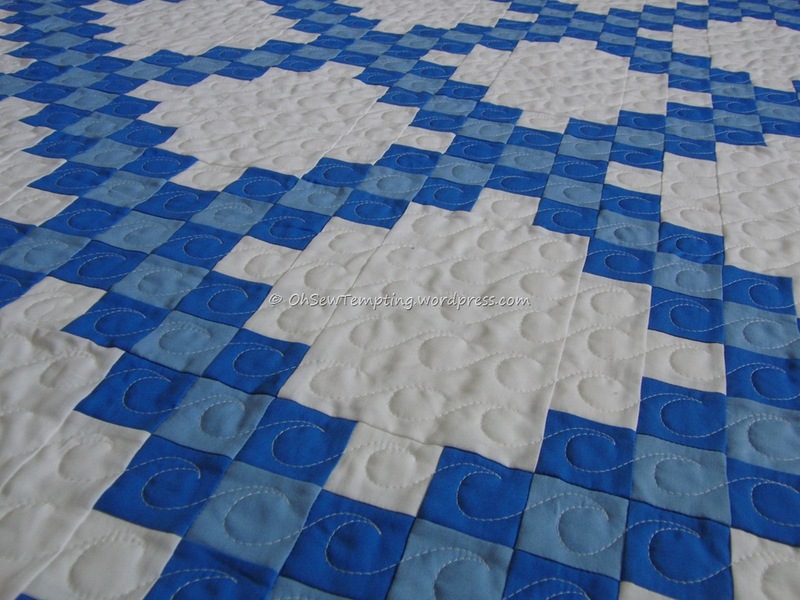 There’s a lot more to the story than just a sewing machine. It brought back lots of memories from my childhood including my sewing lessons with a very special primary school teacher, the amazing Miss Fox. Yes, I know, I’ve written about her here before. If I told you what other memories this book brought back to me I’d give the story away so I won’t. All I’ll say is that this book made me do something I should have done years ago. I’ve been meaning to do it and I should’ve done it. I just didn’t. Well, now I have and I’ll tell you all about it in another post some time soon. The Sewing Machine is available on Amazon at £1.99 for the Kindle version and, in my opinion, it’s worth every penny. There’s a paperback and audio version out too. I’m not getting paid to recommend this book. I just want everyone to have the chance to enjoy it as much as I did. I’m actually planning to read it again and that’s another first for me! Let me know if you’ve read it. I’d love to know what you think. Anyway Natalie, if you ever read this, thank you so much for writing a great story, stirring up some wonderful memories (and quite sad ones) and making me do that thing I should have done decades ago. Also, thank you to Claire who seems to know what’s good for me 🙂 Nowt new there then! Like you, Avis, I thought this book was just “magic”, which is why I so wanted to spread the word. So much more than a simple story, as you say. And if you do read it a second time, I can reassure you, the magic is still there! . That’s good to know. I’ll definitely read it again. I have recommended this for our library’s electronic books, I can’t wait to read it! Hope I can get my hands on a new paperback copy, sounds like a great read. It’s on Amazon UK. Try amazon.com and let me know how you get on. If I had seen this in a book shop I doubt I would have given it a 2nd glance, thinking it to be a manual for machinists. However I may just have to download this one now. I think you’ll really enjoy it. I’m going to read it again when my sister returns my copy. The Kindle copy is a bargain!